AEG has launched a Kickstarter campaign for what they're calling their most ambitious board game ever. 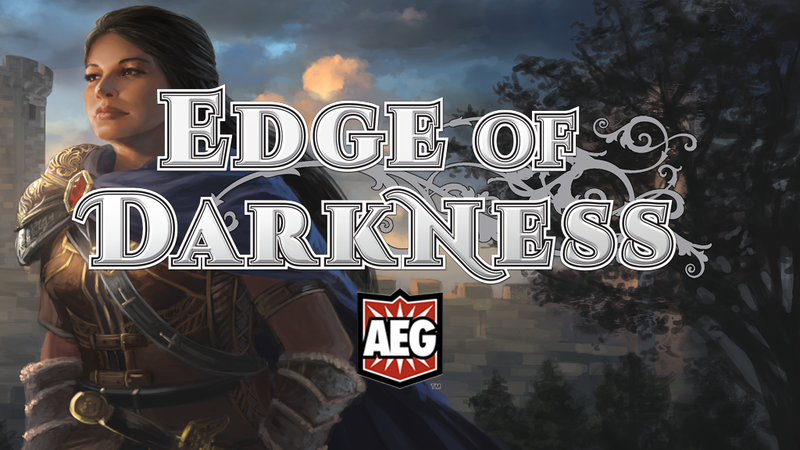 Edge of Darkness involves deck building and card modification (like in Mystic Vale) along with worker placement, area control, and threat elements, all rolled into one. Take control of one of the four guilds and fight to keep the land of Aegis alive. We come now to the start of the story. A city, Aegis, struggles to survive. The Blight draws near. Four Guilds hold its fate in their hands. For Aegis to live, three must fall and one must rise. From John D. Clair, designer of the ORIGINS Award Winning Mystic Vale comes a new look at the world first glimpsed in the contest between the Druids and the corruption of the Vale. The most ambitious tabletop game Alderac Entertainment Group has ever published is now live on Kickstarter. Edge of Darkness is a midweight Euro-style game for 2-4 Players (with solo play unlocked at the first Stretch Goal), that plays in about 90-120 minutes. Will you provide a stout defense on the walls? Or will you fight corruption within the Capital Hall? Will you ensure the Forge will never falter? Or will you summon heroes and send them against the Blight or will you seek to increase your influence and expand your forces in the city? There are many paths to victory but only one Guild will triumph. Save the city. Save the world. The campaign is already more than 3x funded with still 30 days to jump in on the action.